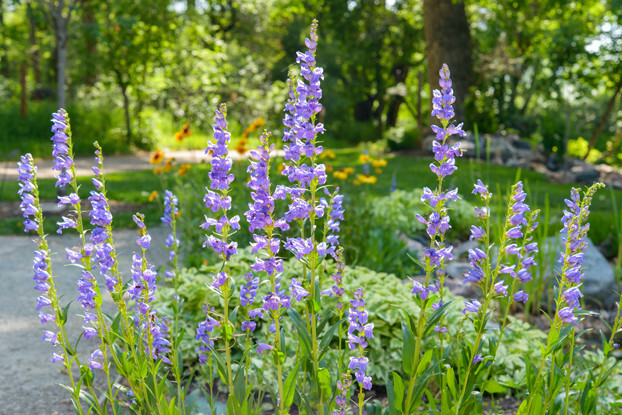 Blue Mountain Penstemon requires low to moderate watering and full sun to partial shade. It is a relatively short penstemon and only grows about 8 to 24 inches tall. It is a perennial that produces clusters or whorls of blue-violet funnel shaped flowers. Frequently occurs on dry mountain slopes in the mid to upper elevations.